Portrait of Andrew H. Reeder, first governor of the Kansas Territory. 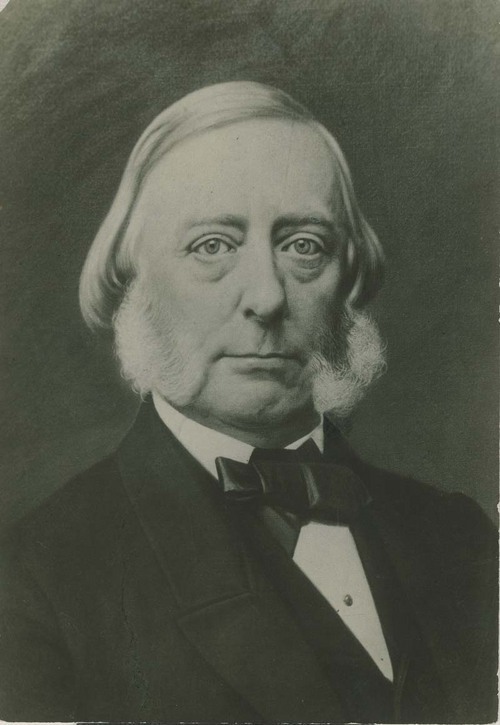 Reeder was commissioned as governor on June 29, 1854, and took the oath of office on July 7, 1854. He arrived in the Kansas Territory on October 7, 1854, and served to April 17, 1855, and served again in a second term from June 23, 1855, to August 16, 1855.